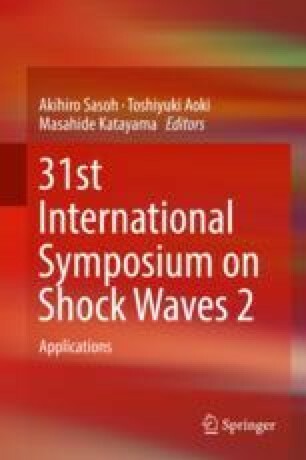 This paper presents a numerical study of air bubble collapse in water induced by the impact of a shock wave. Simulations are performed using an inviscid compressible one-fluid solver. Numerical results are displayed for single-bubble and twin-bubble cases in order to investigate the evolution of the maximum pressure during the collapse. The influence of the distance between bubble is also investigated.